High performance shredding mill to shred, cut, tear, shred, breaking all kinds of polypropylene PP, polyethylene PE, PES polyester, PS polystyrene bags and sacks. TRITURADOR shredding mills are manufactured in useful working widths of 870 and 550 millimetres and a variable shredding size of 4 millimetres. 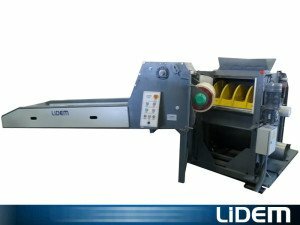 The production of these models can reach up to 600 kg / hour in the TR55 model and 900Kg / hour in the TR87 model, depending on the size of final shredding. Unlike other shredding mills, the process begins with the advance of the conveyor belt variable speed (adjustment of the cutting length is performed easily from the panel) in which the materials pass the cutting and shredding system newspaper. Once inside the machine, the material is processed until it reaches the appropriate size to pass through the installed sieve. This sieve is interchangeable and allows various sizes of crushed. 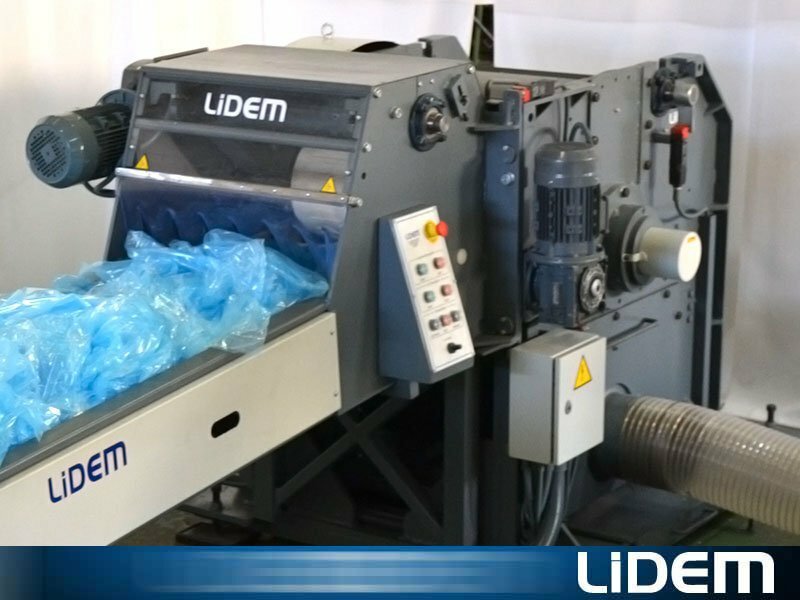 LIDEM offers a wide range of sieves. When the shredded material and with a suitable size goes through the sieve, it is conveyed through fan to the desired point. The TRITURATOR models can reduce the size of waste, recycling these materials by recovering and reusing them (The 4R of recycling). 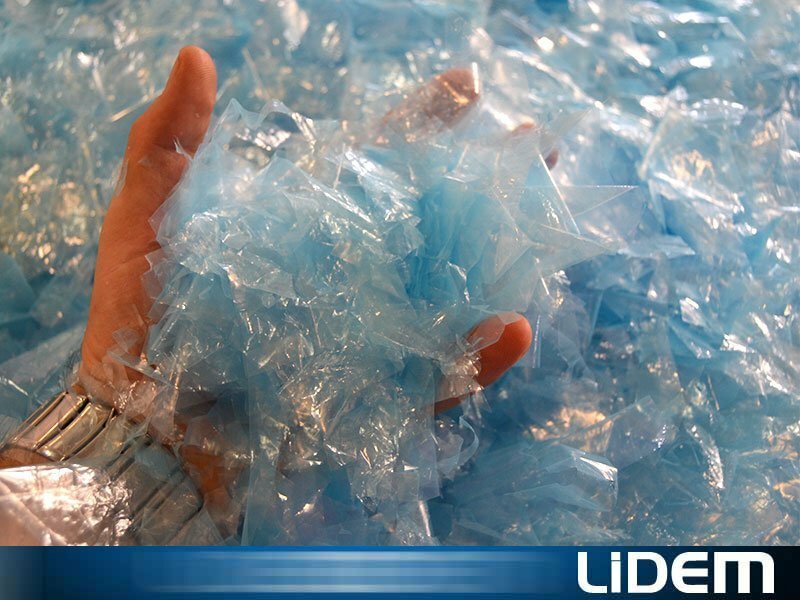 They are particularly suitable for recycling companies and ecological and environmental services. 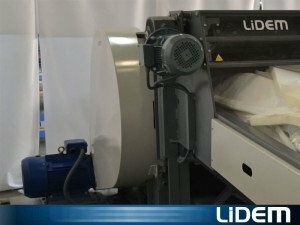 The new system designed by LIDEM, allows to work with very low power, allowing us a considerable electrical savings over traditional shredding mills; the monthly electric bill is lower. The application of high technology and innovation in our machines allows us to obtain a higher production capacity and lower power consumption. Replacing blades or cleaning the machine, is easy and fast, thanks to its shredding unit aperture systems. Very robust and versatile machines that adapt to their production systems.